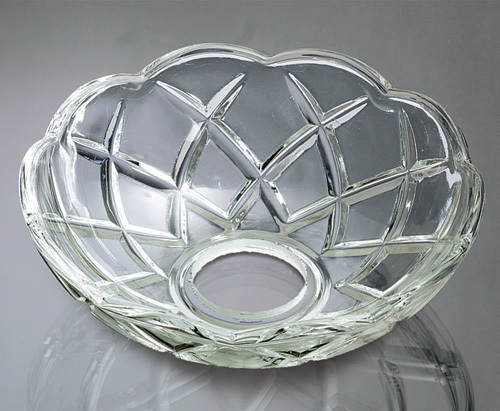 Crystal bobeches, made in Germany. Sold individually. Also called candle rings, these lovely crystal bobeches are both attractive and functional. Measuring a generous 4 inches in diameter with a 1 inch opening for your candle, these bobeches are large enough to catch all wax drips before they can damage your candlesticks, furniture or linens. Sold individually. Made in Germany. These are absolutely beautiful. I was recently at an antique show and was looking for deep cupped bobeche''s. I was so pleased to find these at Brass & Silver Traditions. They arrived promptly and in perfect shape. Thank you. Beautiful and very useful. This lovely item saves the hassle of cleaning candle wax from candle bases and tablecloths.